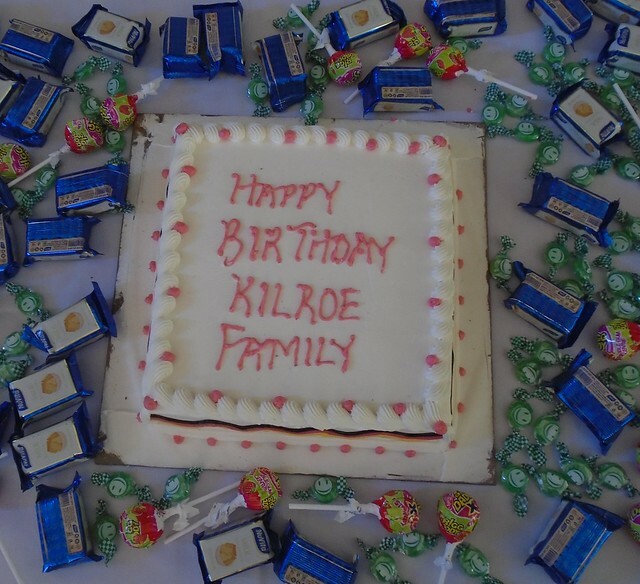 Kilroe House Birthday is on the 8th March each year to celebrate the birthday of our blessed Papa, Tim Kilroe (R.I.P) but as it was on a Tuesday this year we had the actual party on Saturday 12th March. It was a warm Saturday morning when we woke up very early in the morning before the early bird started singing their sweet melodies. We were happy because it was our birthday party. Before the party started we decorated the television room which everyone enjoyed very much. Also we were as happy as king’s daughters walking around the palace. 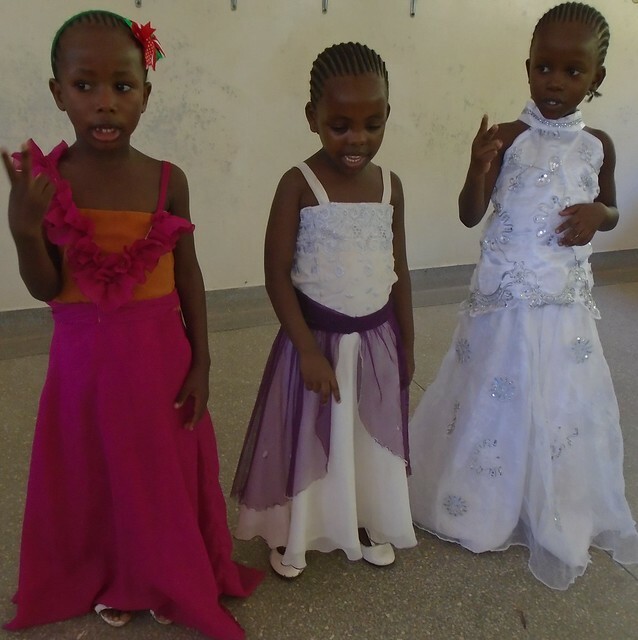 Before the party started we were rehearsing and preparing for the entertainment program which included songs. When the party was about to start everybody was seated at the TV Room cheering and dancing. 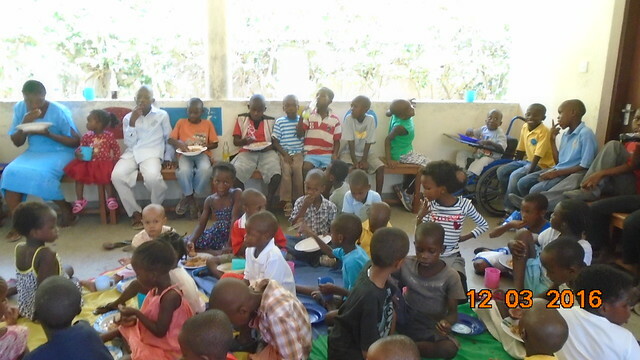 At around 12.30 pm, the food was served, we had different kinds of food including rice, fish, meat and pilau. Also there were some sodas and juice. 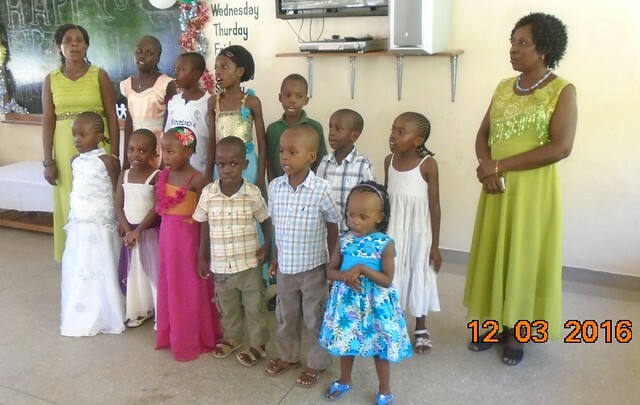 After eating and all were full, we started entertaining all invited guests with songs, poems and reciting bible verses. 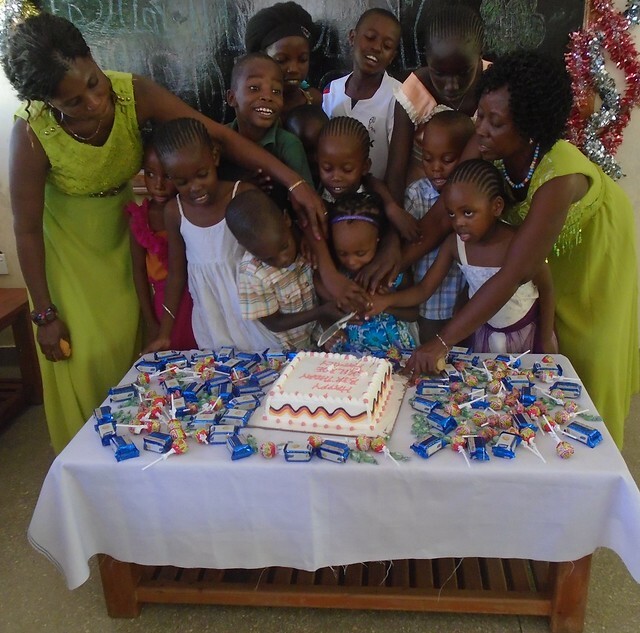 After that we were given presents but before we received presents we cut our birthday cake and shared it with invited guests and children. We really enjoyed eating biscuits and sweets. 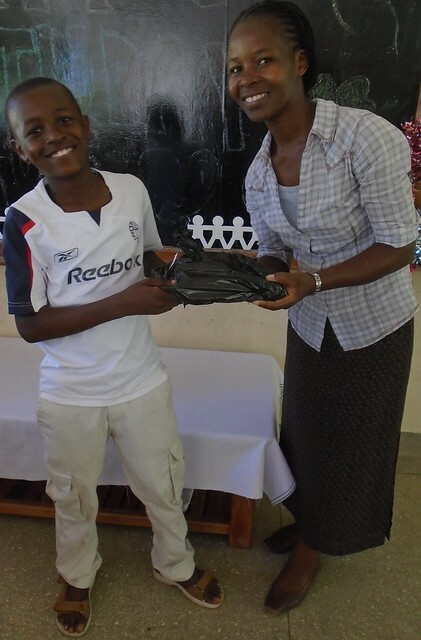 The presents made us more happy, everybody was given a nice present. Some were given pencils, rubbers and story books. For me I was given ruler, rubber, nice colors and good story books. We Thank God and the Kilroe Family for the presents, the food, the drinks and for the nice birthday celebrations.